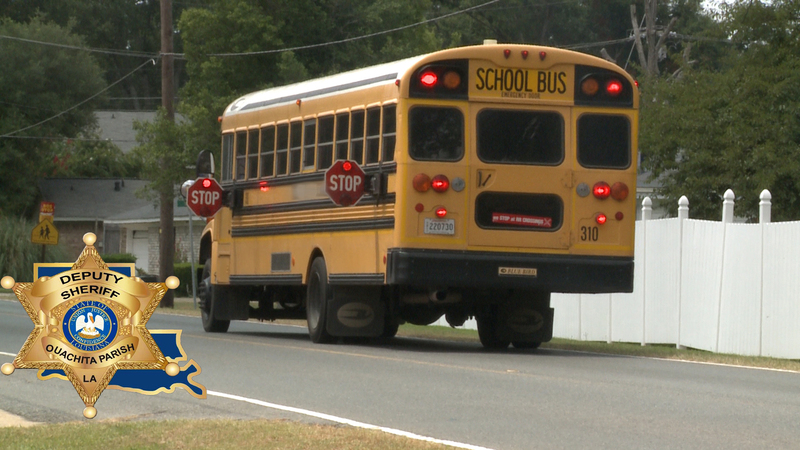 With the start of the new school year, Sheriff Jay Russell reminds motorists of the presence of school buses transporting children to and from school. “Make an extra effort to be aware of the presence of the buses and follow traffic laws regarding overtaking and passing them” he says. Listed below is a copy of Louisiana State Statute RS 32:80 outlining motorists’ responsibilities. There are specific penalties for violations and include the automatic suspension of a drivers license. “We, as responsible drivers, need to be especially aware of the buses to help insure the safety of our children” said Sheriff Russell. (1) The driver of a vehicle upon a highway meeting or overtaking from any direction any school bus that has stopped for the purpose of receiving or discharging any school children shall stop the vehicle not less than thirty feet from the school bus before reaching such school bus when there are in operation on said school bus visual signals as required by R.S. 32:318, and said driver shall not proceed until such bus resumes motion or the visual signals are no longer activated. (2) The driver of any school bus is authorized to notify the appropriate law enforcement authority of any violation of this Subsection within twenty-four hours of the violation. This notification shall be in writing on a form provided to the bus driver by the school board, shall be signed by the school bus driver, under penalty of criminal prosecution, in the presence of two witnesses, and it shall include the license plate number and color of the vehicle. The notice may be sent to the appropriate law enforcement agency by mail, fax, or electronically. If mailed, the notice shall be deemed timely if postmarked the day after the violation. (3) The appropriate authority may issue a citation to the owner or, in the case of a leased vehicle, the lessee of the vehicle involved, on the basis of this information. The owner or lessee shall not be cited if the vehicle is stolen, or if another driver is cited for the violation. The driver of a vehicle upon a highway with separate roadways need not stop upon meeting or passing a school bus which is on a different roadway or when upon a controlled access highway and the school bus is stopped in a loading zone which is a part of or adjacent to such highway and where pedestrians are not permitted to cross the roadway. When, if, and on the date that the Department of Transportation and Development develops, adopts, and promulgates guidelines to establish school bus loading zones pursuant to Senate Concurrent Resolution No. 9 of the 1983 Regular Session of the Louisiana Legislature, the requirements of Subsection A of this Section regarding a vehicle stopping on a highway when meeting or overtaking a school bus and regarding the driver of a school bus activating the visual signs and signals shall be effective when a school bus stops on the shoulder of a highway for the purpose of receiving or discharging any school children as provided in the guidelines.